Desert Essence Tea Tree Replenishing Shampoo is powerful yet gentle. Tea Tree Oil cleanses without stripping hair's natural emollients and helps restore the moisture balance to the hair and scalp. Peppermint Oil soothes your scalp while Yucca and Eucalyptus help reduce flaking while adding moisture and shine to hair. Massage a small amount into wet hair and scalp. 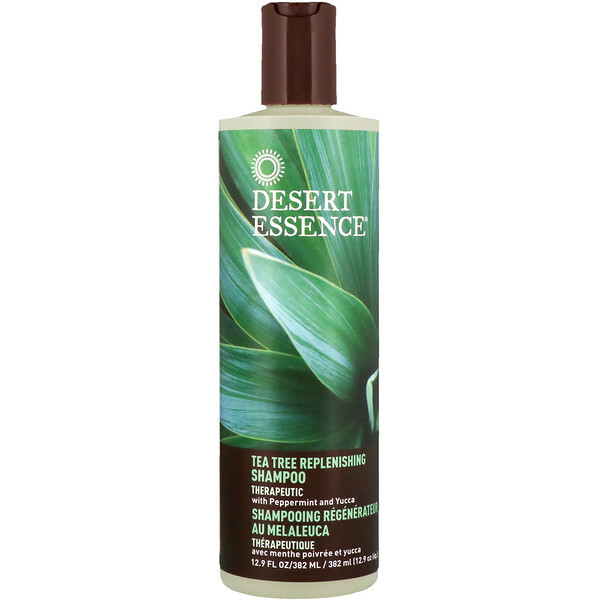 Lather, rinse thoroughly with cool water and follow with Desert Essence Tea Tree Replenishing Therapeutic Conditioner for optimal results. 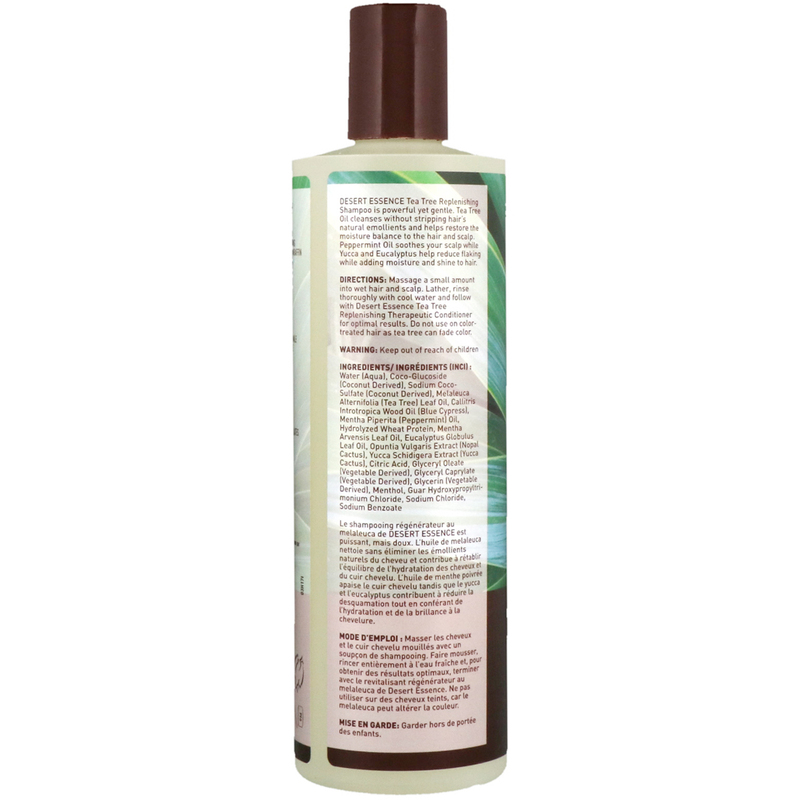 Do not use on color-treated hair as tea tree can fade color. Water (aqua), coco-glucoside (coconut derived), sodium coco-sulfate (coconut derived), melaleuca alternifolia (tea tree) leaf oil, callitris introtropica wood oil (blue cypress), mentha piperita (peppermint) oil, hydrolyzed wheat protein, mentha arvensis leaf oil, eucalyptus globulus leaf oil, opuntia vulgaris extract (nopal cactus), yucca schidigera extract (yucca cactus), citric acid, glyceryl oleate (vegetable derived), glyceryl caprylate (vegetable derived), glycerin (vegetable derived), menthol, guar hydroxypropyl-trimonium chloride, sodium chloride, sodium benzoate.